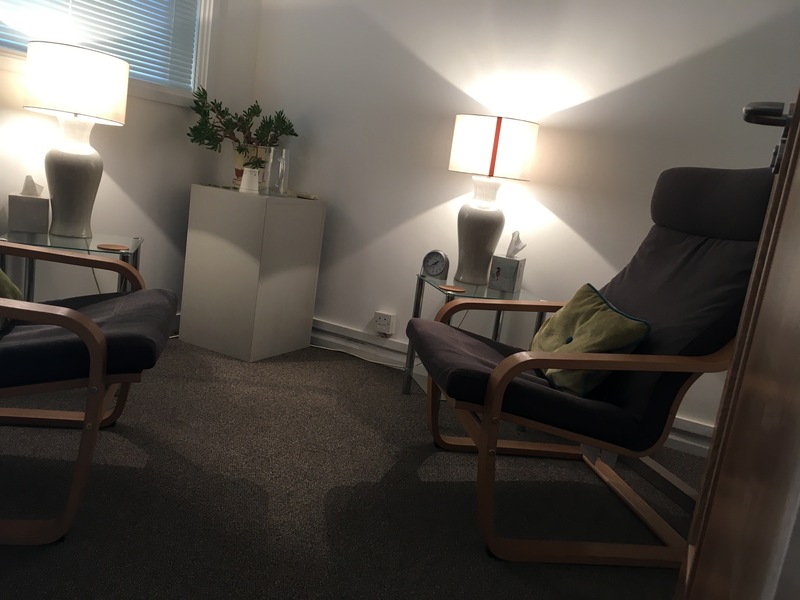 We have 5 therapy rooms suitable for talking therapy to rent in the heart of Fulham Broadway, SW6. 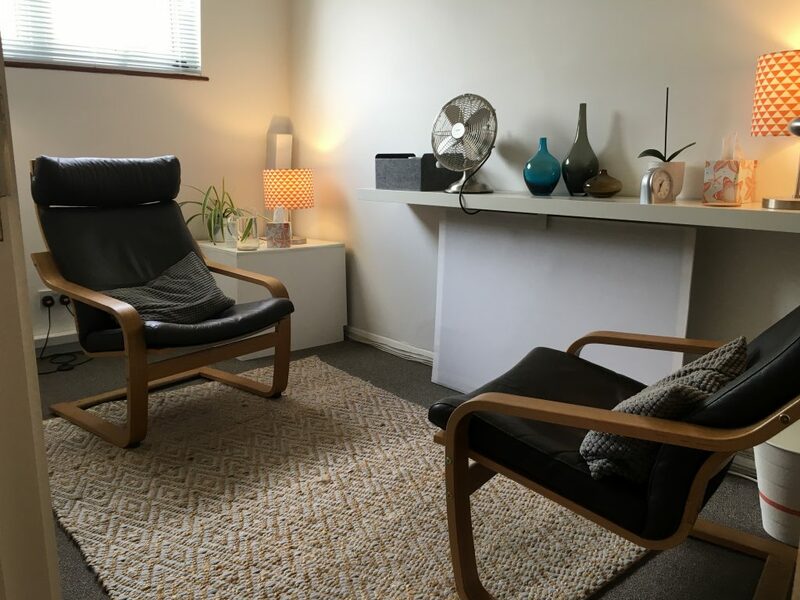 These light and airy rooms, recently opened by two established psychotherapists, are set on the third floor away from street noise and offer a comfortable and stylish place to run your psychotherapy and counselling practice. 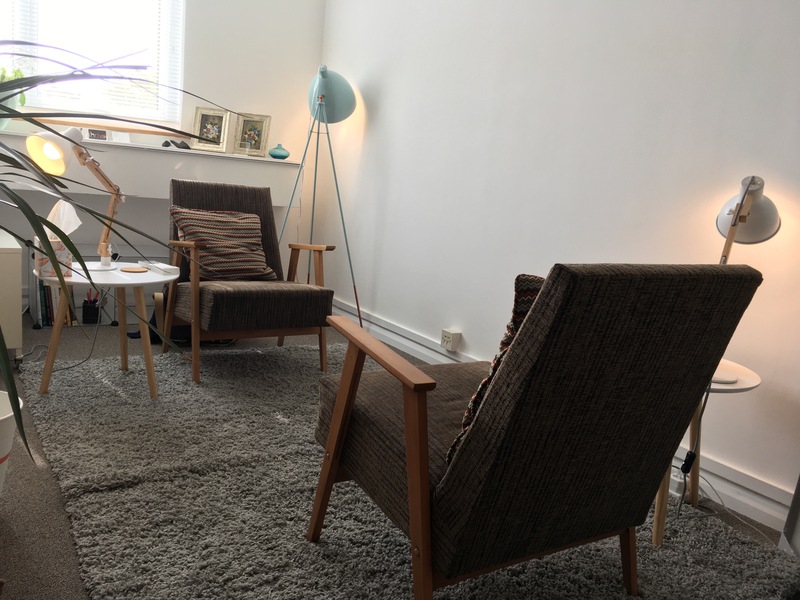 Available on Saturday & Sunday we transform the space to accommodate groups or workshops or presentations. The space is large enough for groups of 8 plus groups leader, or we can layout a presentation space for 10 participants. 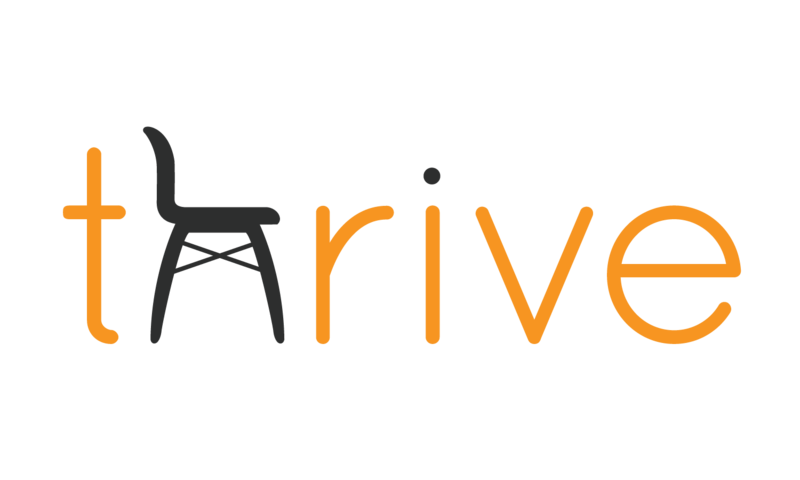 You can begin working at Thrive with a minimum of a 2 hour weekly contract. We offer fixed 2 hourly contracts throughout the day and on a Friday evenings. On Monday, Tuesday, Wednesday and Thursday evenings we offer a minimum of a 4 hour contract. Friday Evening 2 and 4 hour contracts available. We have 2 and 4 blocks available on most days. 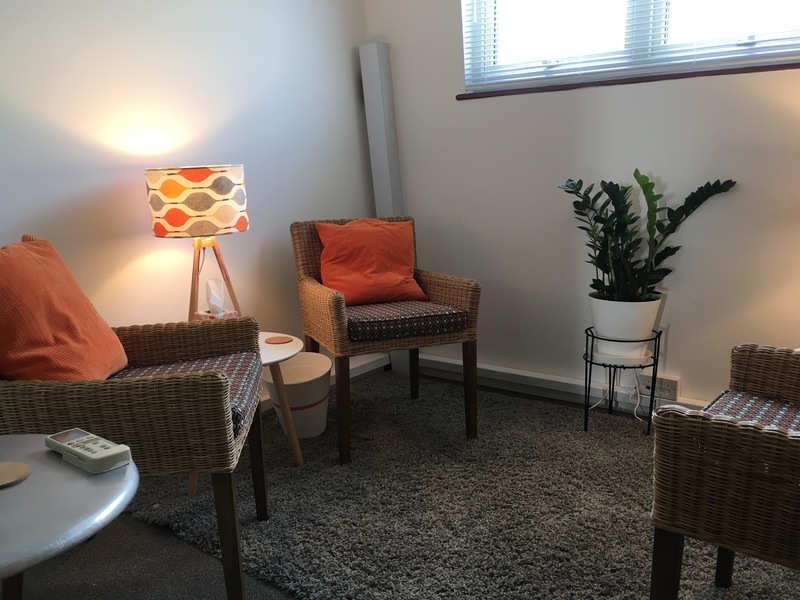 At the weekend we can transform our rooms to offer a space for you to run talking therapy groups or workshops or to give presentations. 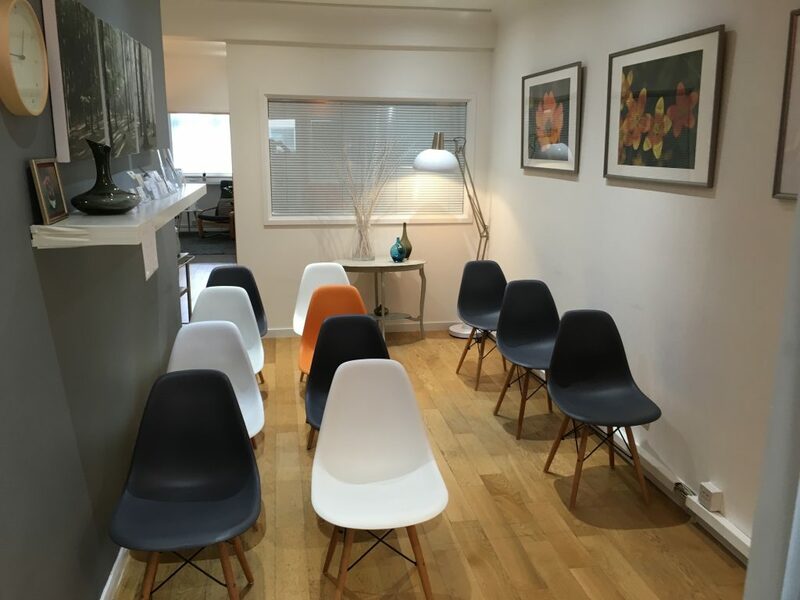 You can book a group space on acceptance of our group space terms and conditions. 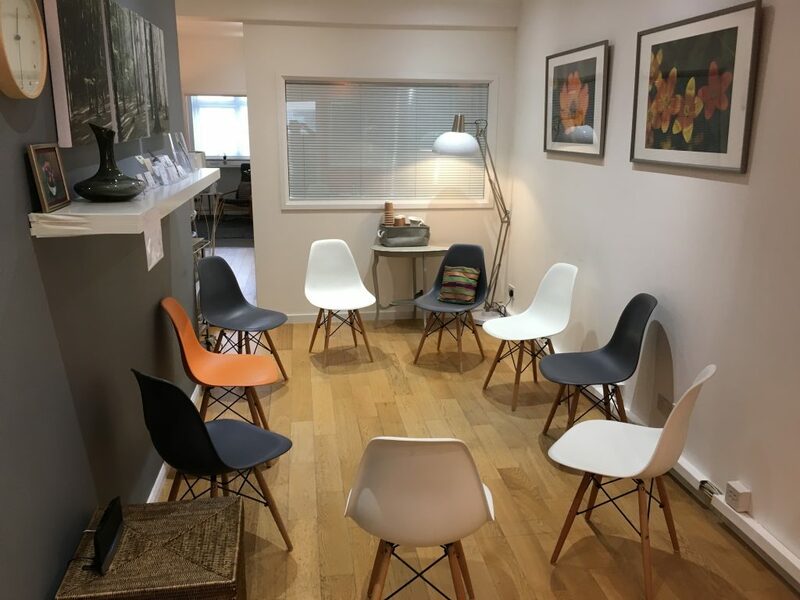 We offer group space on a saturday or sunday or both. We can provide tea and coffee on request*. We can provide a projector on request*. 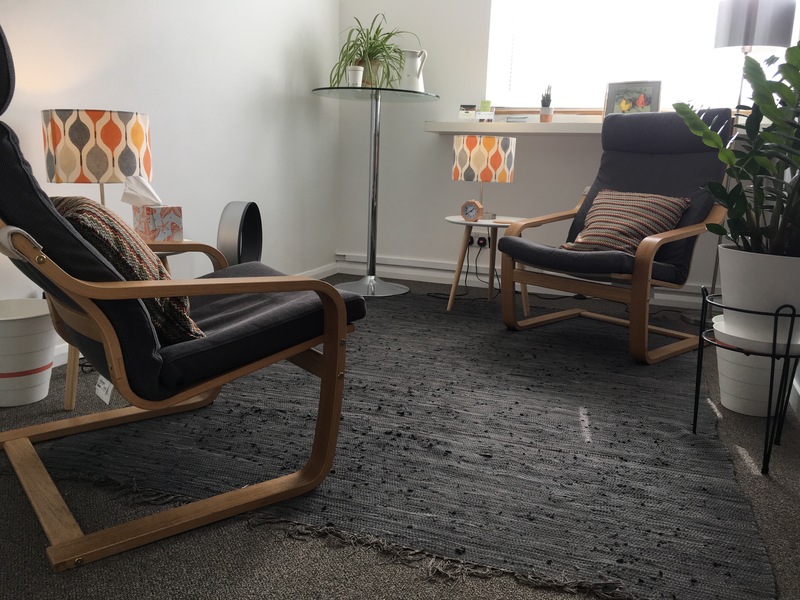 Contact us for information about our group space rates. 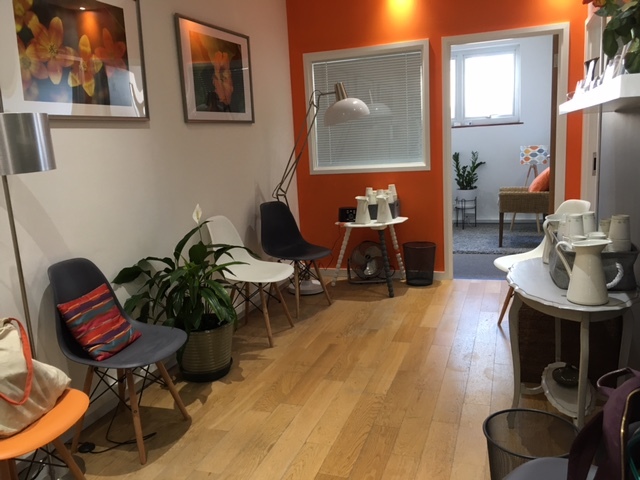 You can find us at 585A Fulham Broadway, 5 minute walk from Fulham Broadway Tube Station.